God calls all of us to do justice, love kindness and walk humbly with our God (Micah 6:8). 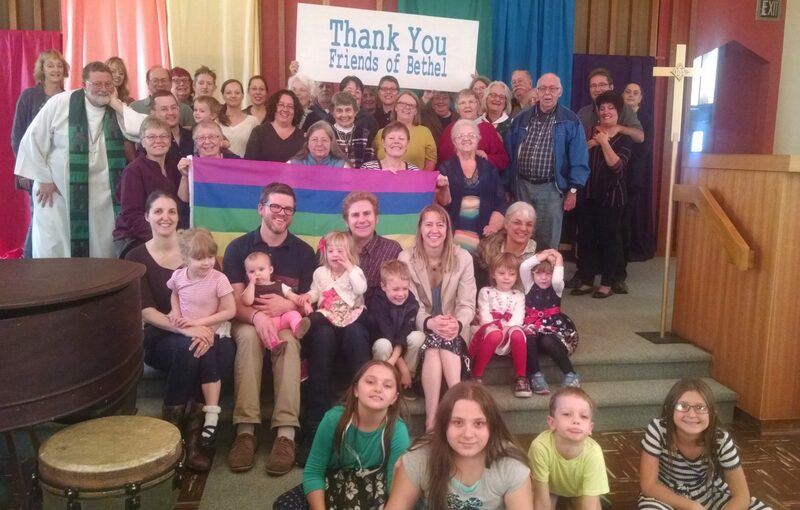 We, the community of Bethel Lutheran Church, joyfully accept this call to love and serve all people, especially those who have been excluded or marginalized. We draw on the rich tradition of hospitality and care of the other as found in the traditions of the People of the Book. We find the stories of this call in Hebrew Scripture. We recognize the Torah’s call to love the stranger among us, for once too the Israelites were strangers in Egypt. Abraham and Sarah welcomed the visitors at their tent. The widow in Zarephath feeds Elijah and there is always enough. They all acted with radical hospitality. We find the stories of this call in Christian Scripture. We rely on the examples of Jesus’ life and teaching: when Jesus accepts the hospitality of the woman at the well, and when he invites the marginalized to the banquet. We are challenged to recognize the Son of Man as the stranger among us appearing as the poor, sick, imprisoned and thirsty, and we acknowledge that before God there is no distinction. We, the community of Bethel Lutheran Church, are committed to openly welcome you. Knowing God loves all creation and holds us all, we welcome you who walk through our doors and you who are outside those doors. We welcome everyone and honor the rich diversity and giftedness that age, sexual orientation, race, belief, emotional and physical health, gender identity, marital status and station in life bring to the Bethel family and our relationships. Loving, creative God in whose image we all are created. where God dwells among us, where we experience Christ’s transcendent love. Help us acknowledge our brokenness to those we have hurt and excluded. rise up together and reflect the Gospel in our lives. in the radical hospitality of the living Gospel.